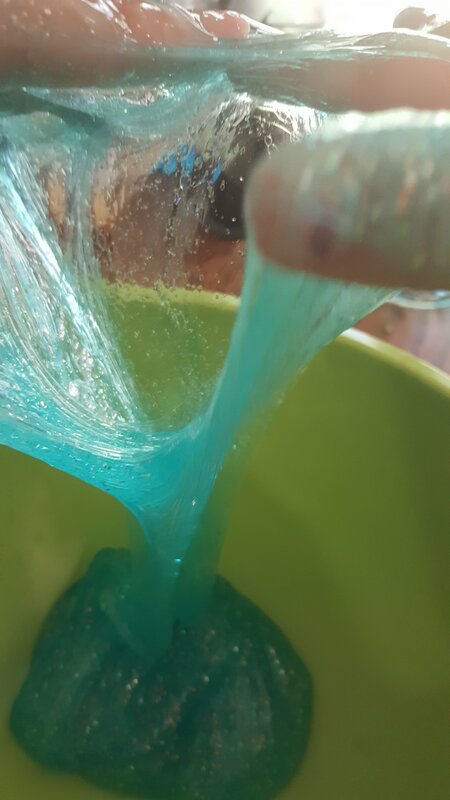 Ater our last slime we decided to try another one that would stretch better. 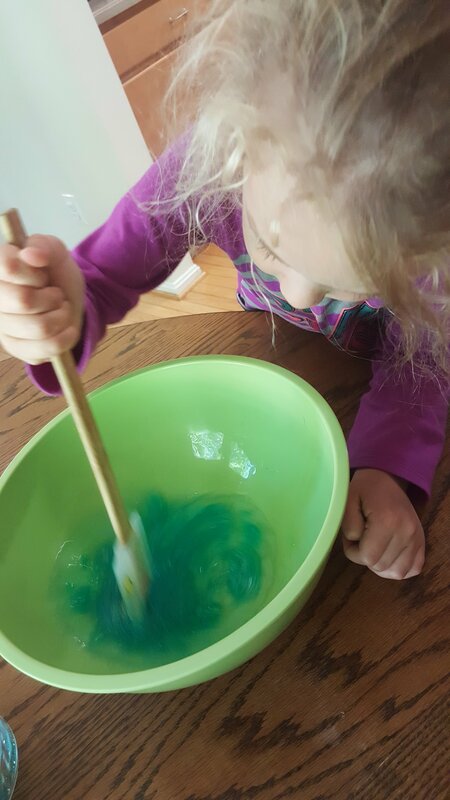 So this time we tried Saline Slime by Little Bins for Little Hands. This is by far our favorite slime so far! (Easy to make, not too sticky/ messy). 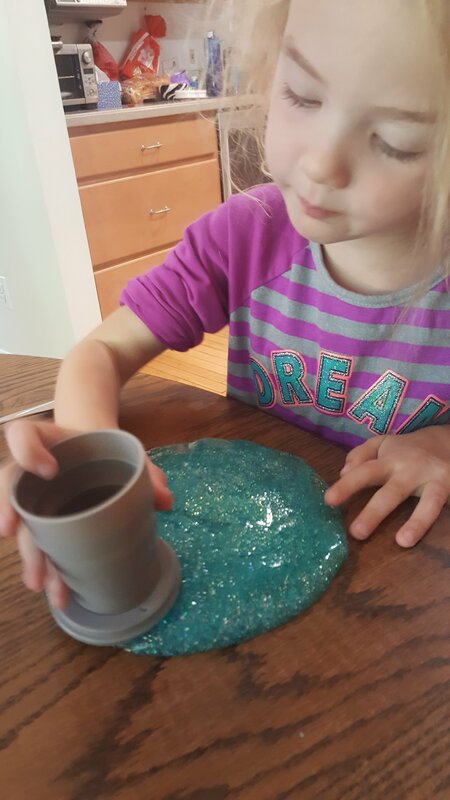 Once again we used 1/2 cup Elmers Glitter Glue, 1/2 cup water, 1/2 tsp baking soda, 1 TBS contact solution. And mix/ squish!